In recent years, application areas for three‑dimensional (3D) imaging have emerged in several fields, including manufacturing, defense, and geosciences. The new generation of 3D imaging systems based on ladar offers significant advantages in these applications. The time‑correlated single‑photon counting (TCSPC) approach to laser radar (ladar) affords a number of potential advantages over non‑photon‑counting approaches, including improved depth resolution over linear multiplication detector‑based systems. In particular, it is possible to retrieve 3D shape information directly from the scene and separate a target from background or foreground clutter by extracting a narrow depth range from the field of view by range gating, either in the sensor or by postprocessing. The improved depth resolution means that TCSPC can be effectively utilized in the identification of distributed targets where the scattering surfaces are closely separated. The advantage of shot‑noise‑limited detection of single‑photon events means that the system can be used even when there is an average of less than one photon return event per pulse, which is critical in applications involving long‑distance ranging. At kilometre ranges,the low photon return rates permit the use of high repetition rate, compact, low-power laser diodes, since it is not necessary to record a return on every outgoing laser pulse. There is growing interest in depth imagingusing TCPSC, especially as photon‑counting detector and acquisition technology continues to improve, permitting faster data acquisition at longer range. The general approach of photon‑counting ranging has been to direct a pulsed laser toward a noncooperative target (i.e., an object or scene that does not lend itself to reflecting the transmitted laser pulses back toward the source) with the scattered photon return being recorded by a photon-counting detector. Timing information from the recorded photon returns is used to determine the round‑trip time, which subsequently is employed to calculate the distance to the target. Each transmitted pulse and photon return constitutes an individual measurement of the distance to the target. Statistical analysis of many of these independent measurements (typically 103 to 106) can yield a time‑of‑flight resolution that is better than the overall timing jitter of the system. Previosuly, we constructed a system based on TCSPC for performing depth image measurements in indoor environments under typically low ambient light level conditions at standoff distances of around 10 m. This used a large pan‑and‑tilt head mechanism to scan a compact optical system containing an optimisedsilicon single-photon avalanche diode (SPAD) detector. 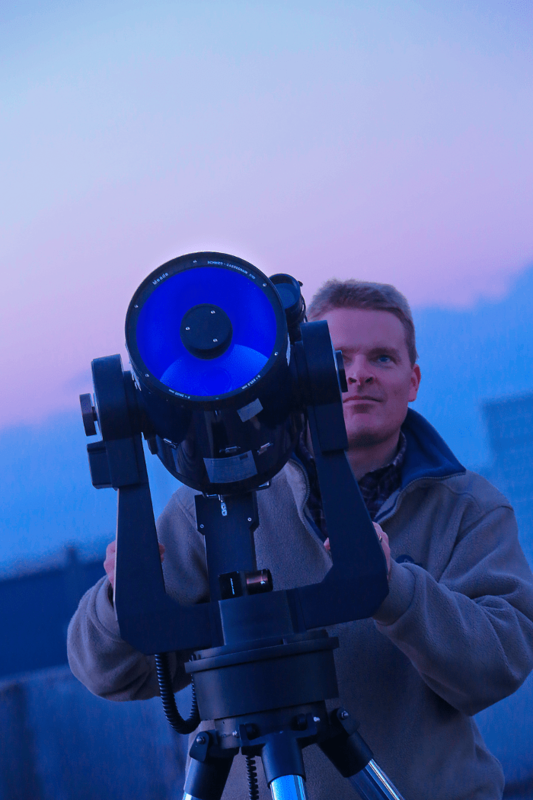 In parallel, we developed a kilometre rangesystem, based on a commercially available 200‑mm diameter aperture Schmidt‑Cassegrain telescope for single point use in target identification under daylight conditions using multiple emssion wavelengths. 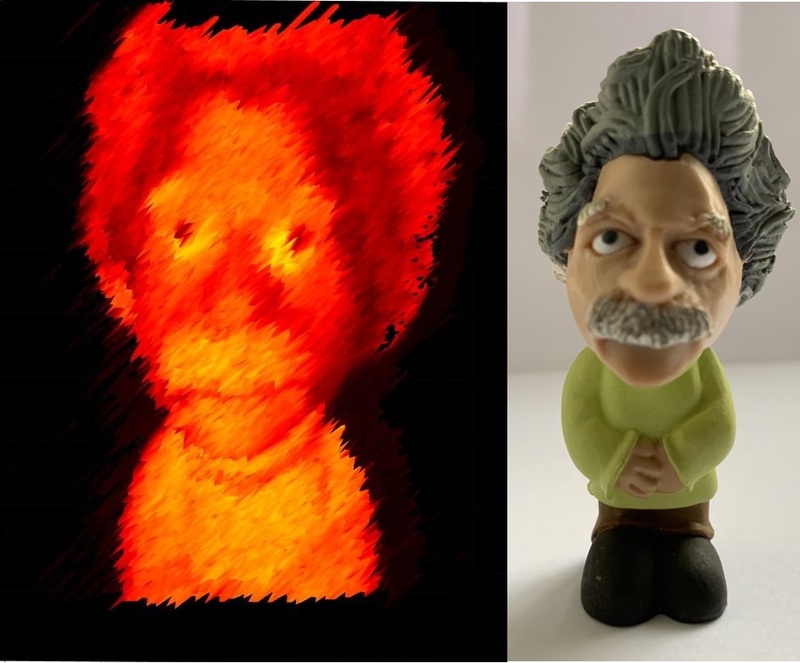 We have now developed, in our own laboratories, a scanning time‑of‑flight system which uses the TCSPC technique to produce multilayer 3D imagery, in which each pixel produces a complex temporal response that describes the scene structure. Such complexity caused by multiple and distributed reflection arises in many relevant scenarios, for example in viewing partially occluded targets, through semitransparent materials (e.g., windows) and through distributed reflective media such as foliage. Our scanning time‑of‑flight depth sensor is capable of operating with any fibre coupled single-photon counting detector module, including SPADs and superconducting detectors. The single‑photon detector module is fibre‑coupled to a compact optical transceiver head that contains a pulsed laser diode and a pair of galvanometer scanning mirrors. These mirrors are used to scan both the outgoing laser beam and the collected return photon ‑ meaning that a single optimised detector can be used to obtain a complete 3D image. In a periodic illumination range‑finder, the maximum distance that can be unambiguously determined is simply that range which permits only one optical pulse in transit at one time. To increase the measurable range, the pulse repetition rate must be reduced. Clearly, any reduction in repetition rate, without any other changes in system configuration, will increase the required data acquisition time. This is compounded by the expected reduction in collected scatter from more distant targets which would incur even further increases in acquisition time. It is clear that for photon‑counting techniques to be used for long range, absolute depth measurement with efficient data acquisition times, it is essential to implement approaches for the avoidance of range ambiguity. We have demonstrated a random pattern technique which is well suited for implementation in 3D time-of-flight ranging systems that uses time-correlated single-photon counting. R. Tobin, A. Halimi, A. McCarthy, M. Laurenzis, F. Christnacher, and G.S. 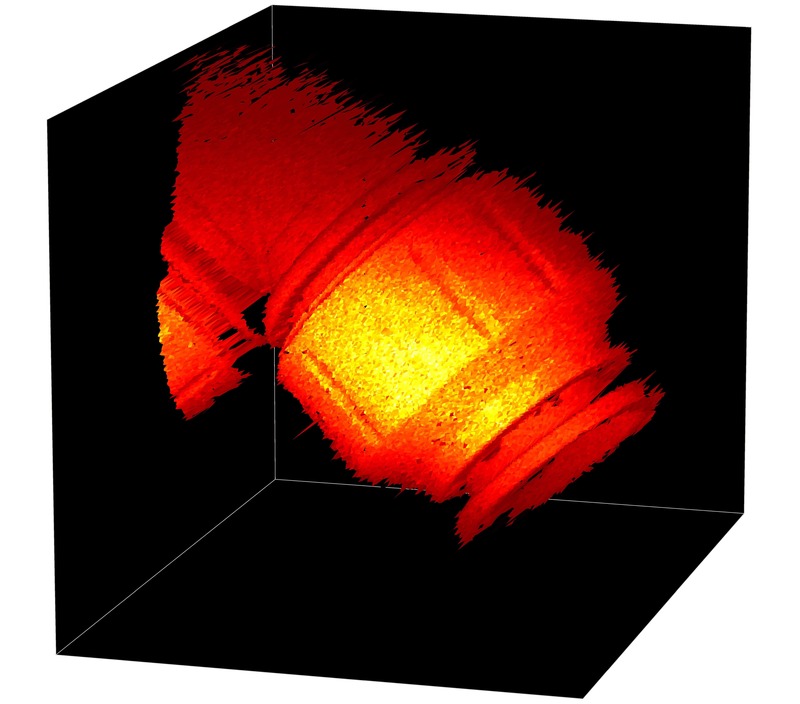 Buller, "Three‑dimensional single‑photon imaging through obscurants", Optics Express 27(4), pp 4590‑4611 (2019). X. Ren, Y. Altmann, R. Tobin, A. McCarthy, S. Mclaughlin, and G.S. 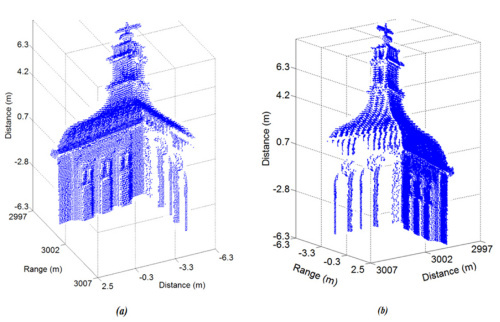 Buller, "Wavelength‑time coding for multispectral 3D imaging using single‑photon LiDAR", Optics Express 26(23), pp 30146‑30161 (2018). A. Pawlikowska, A. Halimi, R.A. Lamb, and G.S. Buller, "Single‑photon three‑dimensional imaging at up to 10 kilometers range", Optics Express 25(10), pp. 11919‑11931 (2017). A. Maccarone, A. McCarthy, X. Ren, R.E. Warburton, A.M. Wallace, J. Moffat, Y. Petillot, and G.S. Buller, "Underwater depth imaging using time‑correlated single‑photon counting", Optics Express 23(26), pp. 33911‑33926 (2015). © 2019 Single‑Photon Group all rights reserved - This website uses Bootstrap. Images taken from HiPWallpaper copyrighted to their respected authors.